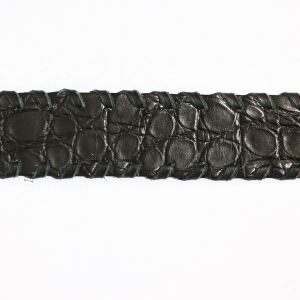 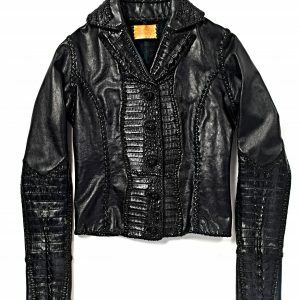 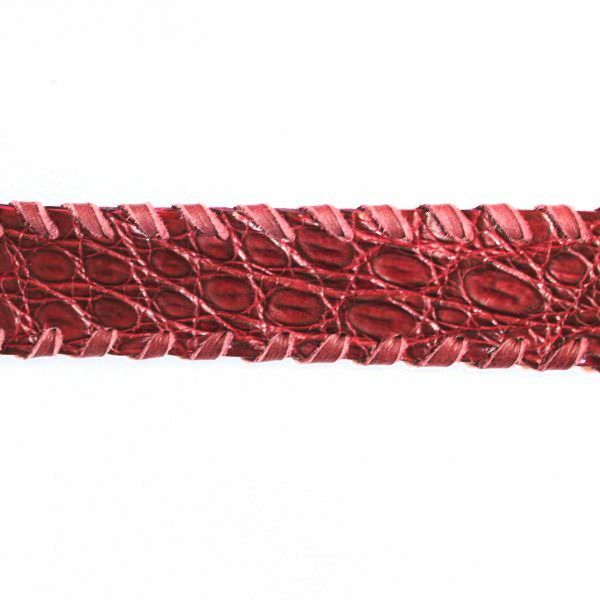 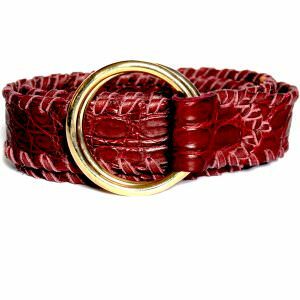 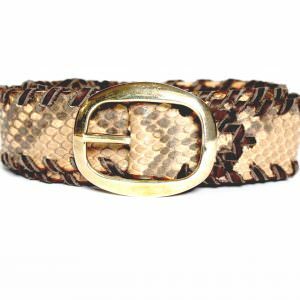 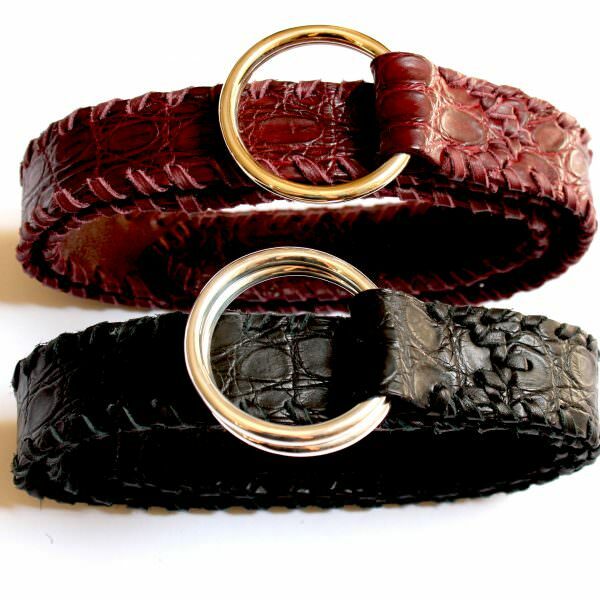 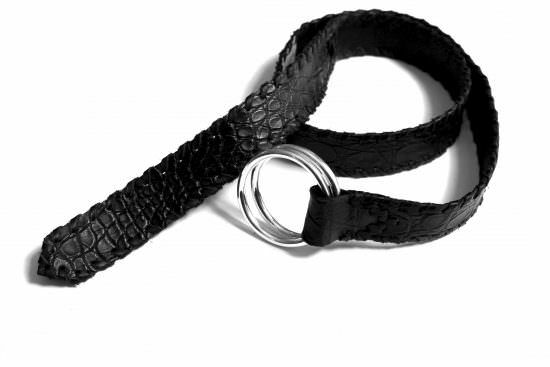 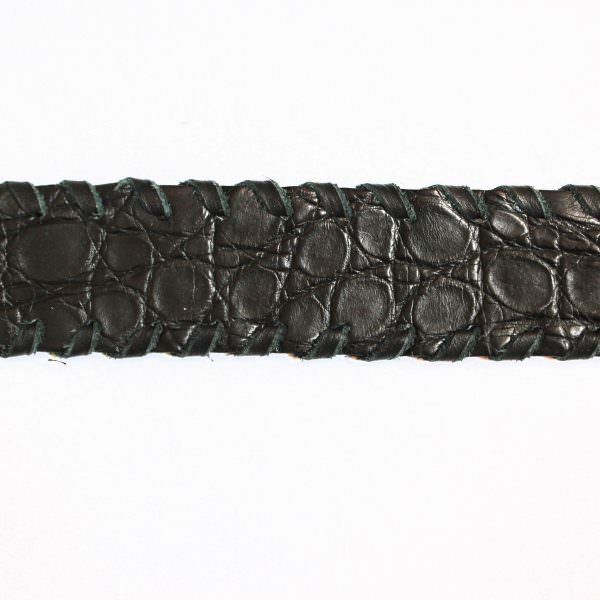 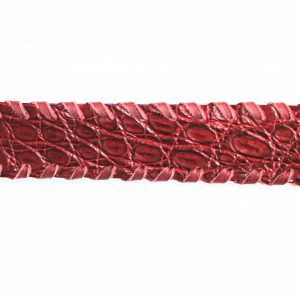 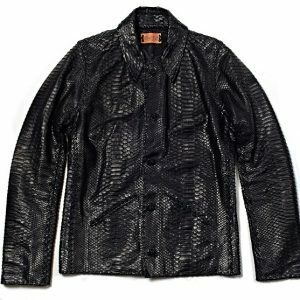 Alligator Ring Belt by Lost Art is handmade from 100% genuine Alligator skin. 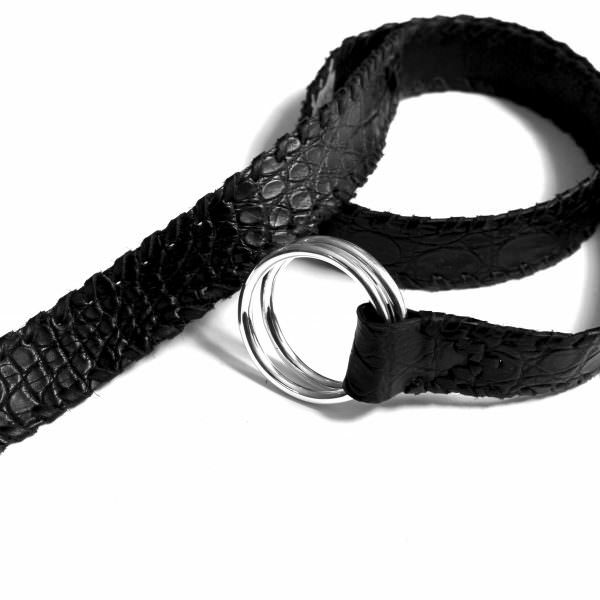 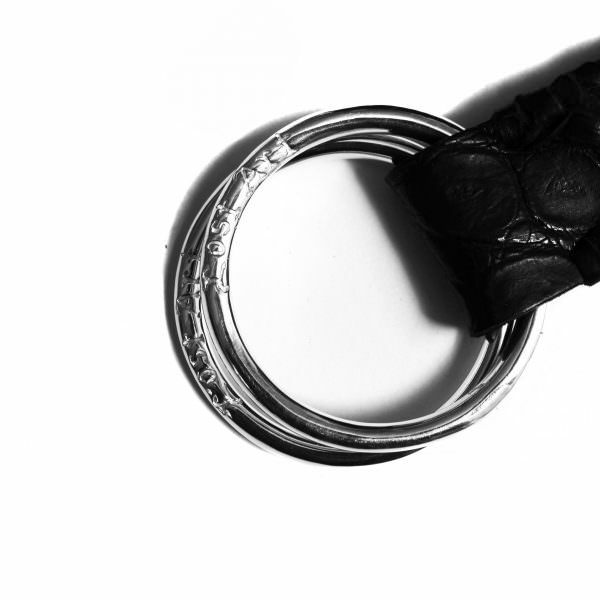 The belts come in Black with leather whipstiching and metallic silver rings (with the words “Lost Art” engraved). 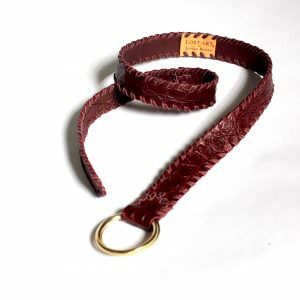 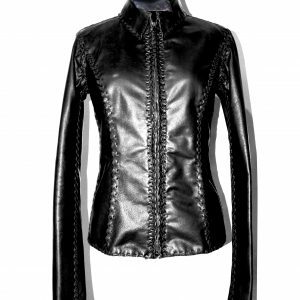 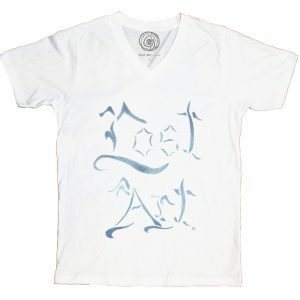 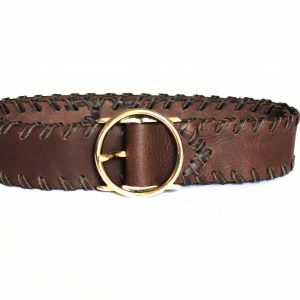 As well as Burgundy with leather whipstiching and brass rings.